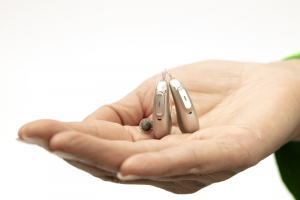 Phonak has just launched their newest platform of hearing aids, Marvel. 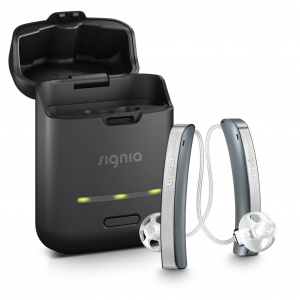 With Bluetooth direct connection to both Android and iPhone and the ability to talk hands free using the hearing aid microphone to send your voice to the listener, these aids have a range of features that will appeal to those clients looking for flexibility ease of use. They also offer rechargeable models for those who don’t like the hassle of managing batteries. Click here for more information. The thinnest and most stylish device on the market. 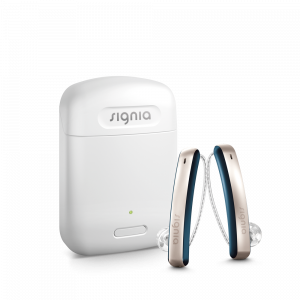 Being part of the Signia Nx range these devices have sophisticated Beamforming Directional Microphones that help to reduce background noise, the ability to control via an app on your phone, and the ability to charge on the go. No fiddly batteries to change. Click here for more information. Contact Us if you would like an obligation free trial of any of these devices.